Home » Is Finding Something of Value Imperative During Tough Economic Times? Is Finding Something of Value Imperative During Tough Economic Times? A top investor is urging everyone to hold a valuable asset because of today’s uncertain economic climate. Could his advice be the only one worth listening to? This week, Your News to Know rounds up the hottest news from the world of finance and the gold market. Stories include: Gloom and doom economist Mark Faber is big on gold, a study puts gold price at $1,850 with Trump win, and Russian central bank gold buying is back. Those who follow Marc Faber’s ‘Gloom, Boom & Doom’ report know that the star economist tends to focus mainly on investment downsides. As seen in the Chicago Tribune, Faber was recently asked to hold a seminar in Chicago and instruct various elite investors on how to avoid losses. Faber’s main issue lies with central banks and their policies: the investor and publisher feels as if central bank officials like Janet Yellen are merely holding off another 2008-level financial collapse with ill-advised methods like mass bond buying. Therefore, Faber urges everyone not to place faith in monetary authority figures and instead find a way to protect their wealth. “It’s ludicrous to think that slashing rates will get people to spend,” he said, explaining that low rates merely cause people to save more. “Young adults will earn less than their parents and die with less than their parents,” said Faber while highlighting the difference between past and present investment rewards. Whereas investors from a few decades ago enjoyed bonds that paid 7% and real estate that was sure to appreciate, nowadays “young people don’t have money to buy condos and houses” and instead spend all their money on rent, partially because of bonds that pay next to nothing. So how does one thrive in such an environment? To Faber, successful investing is all about finding something of value during tough times – times Faber very much believes we are living in. He notes that investment opportunities that were available merely a few years ago are no longer an option. Gold, however, rises above the crowd: Faber finds the yellow metal great both as a store of wealth and a way to avoid central bank manipulation. Making his point further, Faber advised investors to hold as much as 25% of their portfolio in gold – a sizable increase from the 1% allocation that many investors are guilty of. A recent chart done by Georgette Boele of Dutch bank ABN Amro details gold’s movements during various U.S. Presidencies and shows that the metal is reasonably dependent on an individual President’s policies and actions. During the 1980s and 1990s, gold moved higher due to substantial fears of inflation. With Clinton’s second term, however, gold fell 26% amid a fiscal surplus, a rise in U.S. yields and a stronger dollar. Currently, gold is up 24% year-to-date and is enjoying its best annual performance in decades. But where will it go in the event of a Hillary or Trump win? As seen on Mining.com, ABN Amro’s forecasts – which cover up to the end of 2017 – show that both candidacies will ultimately result in a sizable increase in gold’s price. If the Democrats win, a combination of inflation being higher than growth, continued negative real interest rates and a negative long-term U.S. dollar should strongly support gold. Even in the absence of a crisis, ABN analysts believe that gold will reach $1,650 per ounce in the coming years. Regarding a Trump victory, the analysts said: “If Trump were to become President (low probability in our view), gold prices will likely perform well, because we expect that his policies will be inward looking and will weaken the fundamentals of the US economy. In addition, his rhetoric and possibly policy actions could create domestic and international uncertainty at best, and upheaval at worst. It’s worth noting that despite the bank giving low probability to a Trump win, most preliminary polls show the two candidates being dead even. Regardless of who wins, ABN expects gold to reach $1,450 by the end of 2017. Most major gold analysts predicted an upwards of 560 tons of central bank buying in 2016, driven primarily by China’s and Russia’s steady purchases. But with Venezuela selling 67 tons of gold so far this year and the two gold-favoring nations only buying 3 tons combined in May, many saw red flags being raised. As seen on Sharps Pixley, these analysts can now sigh a breath of relief: it appears that the Venezuelan selling is a crisis-driven isolated incident as both China and Russia are back to buying heaps of gold on a monthly basis. In June, Russia added 16.7 more tons of gold bullion to its reserves while China came in at a close second with 15 tons added. 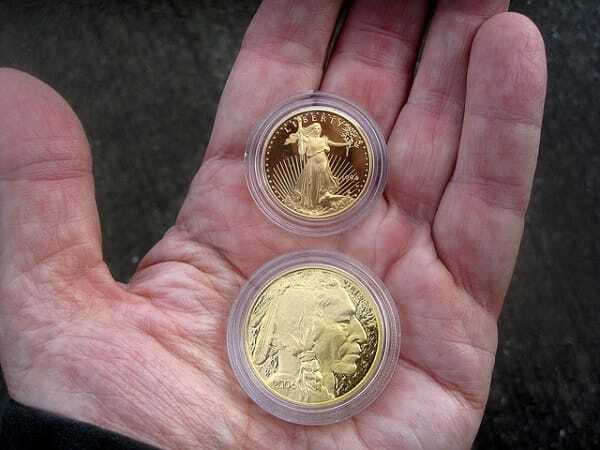 Williams, along with many others, believes that the two nations are looking to use gold to reduce their dependency on the U.S. and potentially weaken its influence – both see the yellow metal as having an increasing role in the global financial system in the years ahead. And while both China and Russia’s gold reserves are still lagging considerably behind those of the U.S., Williams reminds us that many think Chinese reserves are actually close to double the reported amount. If true, China’s gold stores already exceed those of Germany, the other financial powerhouse of the West. Should gold find a permanent home under your mattress? Read more here.